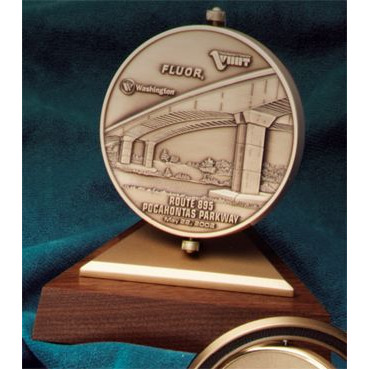 Excellence deserves recognition and what better way to show your appreciation than with a beautiful award from our Crystyl Craft Collection or an impressive medallion spinner award. The timeless beauty and versatility in a crystal award is sure to add elegance and prestige to any celebration. The Spinners offer a variety of bases and medallion options, which can be customized to suit any occasion! The freely rotating attachments are sure to delight!